The third-generation Mazda 3 debuted in 2013. Since then, the sporty and economical hatchbacks and sedans have received minor updates in order to stay ahead of the competition. For 2017, Mazda has once again updated the 3, making it more fun, practical, attractive, safe, and even luxurious. At first glance, it doesn’t sound like a lot, but then again, the 3 really didn’t need much improvement to begin with. 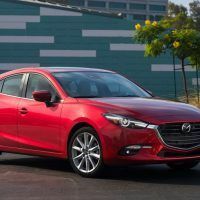 The updates for the U.S. Spec 2017 Mazda 3 are relatively mild as it incorporates many of the changes previously announced for the global version. 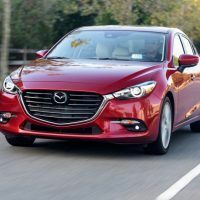 The tweaks consist of a redesigned exterior, some new interior materials and components, updated safety features, and the addition of Mazda’s new G-Vectoring Control for enhanced steering response. 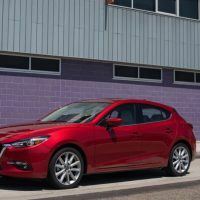 In its current form, the Mazda 3 receives high praises from most everyone who drives it. 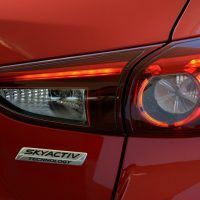 These changes may not have been necessary, but we sure do welcome them in the 2017 Mazda 3. Up front, the 2017 Mazda 3 receives a reshaped grille and larger headlights, giving it a more aggressive, yet refined face. 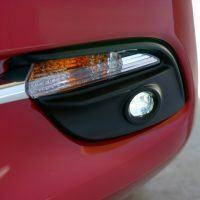 On higher trim models, new LED headlights are also available. The reshaped rear bumper of the hatchback appears to be cleaner and crisper than before. As of now, Mazda has yet to release images of the U.S. Spec 3 sedan, but we think it will look just as attractive as the hatchback. 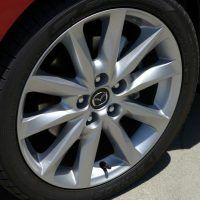 The available 18-inch rims on the Mazda 3 s trim are slightly different in design than before, but the 16-inch wheels and hubcaps on the lower-spec i models remain unchanged. For 2017, two new exterior colors join the 3’s paint palette: Machine Gray is new and Eternal Blue Mica replaces the old Blue Reflex Mica. Interior revisions are more noteworthy than the exterior tweaks. 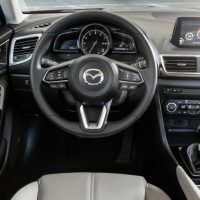 The 3 adopts a steering wheel similar in design to the one found in the new Mazda CX-9 crossover. 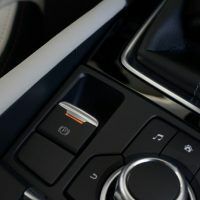 A new electronic parking brake replaces the old lever, thus freeing up precious cargo space in the center console, and the door panels are now covered in softer touch materials. The optional heads-up display is now in full color rather than monochromatic, and the door pockets are larger than before. 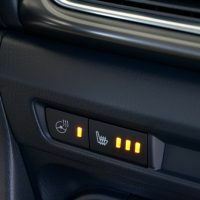 A heated steering wheel is a new option, and models with standard cloth interiors receive upgraded upholstery and nicer fabrics. 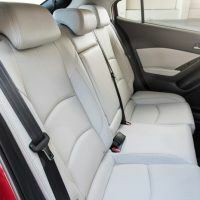 Cars with optional black leather interior receive new espresso-colored accents, and the previous almond-shade leather is replaced by parchment-colored leather. 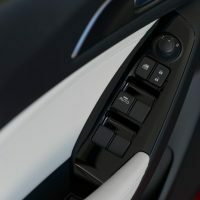 Mechanically, the biggest addition to the 3 is Mazda’s G-Vectoring Control, which increases the responsiveness of the vehicle in nearly all situations. 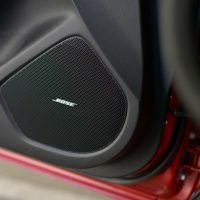 To combat high levels of road noise, the 3’s biggest gripe, Mazda has also revised the dampers and sound insulation materials, resulting in a quieter overall ride. Under the hood, the two engines carryover from the previous year. 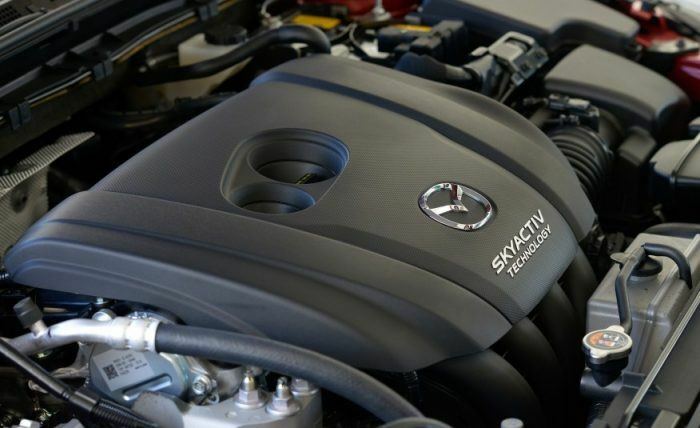 The base 2017 Mazda 3 i is powered by a 2.0 L four-cylinder engine with 155 horsepower. The more powerful 3 s model is propelled by a 2.5 L four-cylinder engine with 184 horsepower. Both engines are available with either a six-speed manual or automatic transmission. A host of active safety features are available, including forward-collision warning, adaptive cruise control, lane-keeping assist, and blind-spot monitoring. 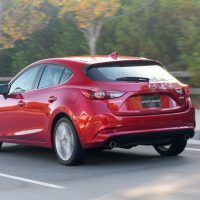 A new camera is now included, which Mazda claims expands the speed range at which it can detect pedestrians and engage the automated emergency-braking system. Cars optioned with the i-Activesense package can now recognize road signs. 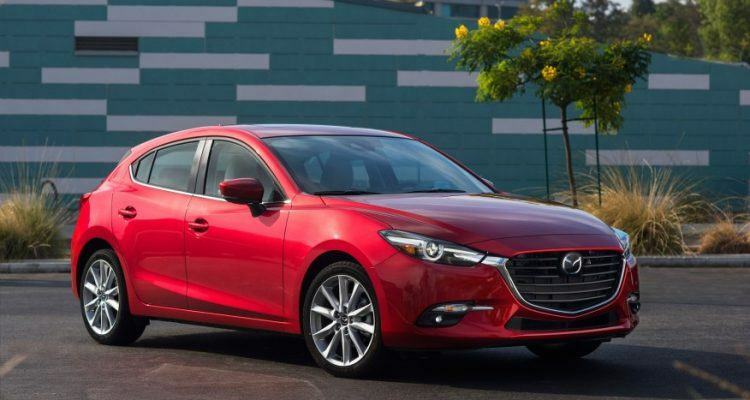 The 2017 Mazda 3 hatchback goes on sale next month and will be joined by the sedan at a later date. We do not expect the base price to increase much from the current price: $18,680 for the sedan and $19,380 for the hatchback. 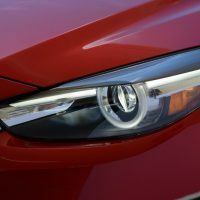 No Comments on "First Look: 2017 Mazda 3 (U.S. Spec)"